Now that we’re at the tail end of Christmas returns season, we’re wondering how it’s gone for your organisation. If you’re like many retail operations, you’re frazzled and frustrated. Customers are returning gifts, shipping back online orders and maybe even bringing those online orders back to your retail stores. 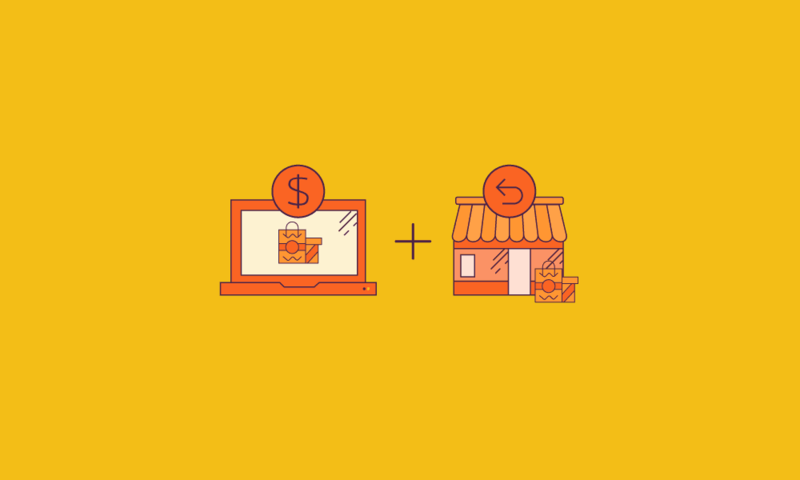 In fact, that’s happening more often to our retail customers: The influx of online orders is resulting in an increase of returns to your brick-and-mortar stores — even the online-only products that you don’t carry in your stores. You can create policies about how online orders have to be shipped back to the warehouse, but that’s not going to make for happy customers. Right or wrong, if the customer has a bad experience trying to return their items to a store, only to be told they can’t return it or that the employee is unable to ship it back to the warehouse, the customer may keep their items – but they may also never buy anything from you again. They may even voice their displeasure to their friends or broadcast it on social media. It’s an understandable issue. A lot of people buy things that are only available online. Maybe you don’t want the item on your shelves, maybe it’s not on your planogram or has few sales across your chain. But the question you have to ask yourself is whether keeping one sale is worth the loss of a lifetime customer. The cost of acquisition of just one customer is likely significantly more than that item. As a result, many retail stores are updating their return practices, and have begun accepting online returns in their stores. The question is how to make this happen efficiently and easily. For one thing, you have to make sure your inventory systems are capable of handing the returned items. Are your retail, online and warehouse inventory systems integrated to keep track of your total inventory, or are you running three separate systems that don’t talk to each other? Are your systems integrated enough that the sales associate won’t get an “Item Not Found” message at the customer service desk, and think the customer is pulling a fast one? If your inventory system isn’t fully integrated, your store associates can’t know what’s in the warehouse versus the sales floor, which means an item can be returned, and the customer can get a refund (and go home happy). You should also address how the inventory will make it back to the warehouse, the vendor or get sold elsewhere. The item can’t go back on the shelf, since your store doesn’t offer it, so how can you put returned items back in circulation? At the very least, you can ship it back to the warehouse. Some larger stores even collect all the return items on a pallet that’s trucked back to the warehouse. Or you could have the store act as a distribution centre of sorts, and use the returned item to fulfil an online order, thus skipping the whole return-to-warehouse process. Personally, I think retailers should really consider allowing online return products to be sold within the store, even if they aren’t part of the store’s official inventory. A friend of ours works in a retail store and mentioned that customers were allowed to return items ordered online at his location. However, if another customer saw the returned item and wanted to purchase it, they were not allowed to buy it. That store was required to “hide” online return items and prepare them for bulk shipment to the retailers return centre. I suggested that they setup a section within the store for “discounted” online returns. The loss from the “mark down” is easily offset by not incurring the expense of managing the return to the distribution centre or supplier. It could also add to the in-store customer experience when they discover an item they didn’t expect to find. There are a few ways to go about accommodating online returns in the store. The methods and costs of the return programs can vary, and some processes might work for some but not for others. If you dig into your data, though, and review the costs of refunds, shipping, volume and other associated expenses, you should be able to find a solution or combination of solutions that work for your stores. SPS Commerce has worked with many retailers, suppliers, and 3PLs to help them understand how to integrate and share inventory systems, as well as EDI, point-of-sales analytics, and product information. If you’re interested in learning more about learning about using these systems for returns and inventory management, please visit the SPS Commerce website and contact one of our omnichannel retail experts.